The spectacular ancient forests, tropical savanna, waterfalls and impressive volcanic crater-lakes of tropical north Queensland are all just a day trip away from Port Douglas. Join an Outback and Rainforest Tour from Port Douglas and let our professional guides show you some of the highlights of this unique region. 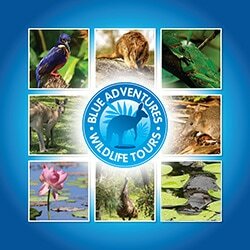 All Blue Adventures tours are run as private charters with no other people joining your trip. As your group will be the only guests on the day, our experienced guides can tailor the itinerary to your interests. After picking you up from your accommodation we head north-west, passing through dense rainforest as we make our way to the top of Great Dividing Range. As the temperature begins to drop we can catch glimpses of the Daintree Rainforest, Daintree River, the headwaters of the Mossman Gorge and Cape Kimberley through gaps in the trees. As we continue further inland, the surrounding countryside quickly dries out and we enter the Queensland outback dotted with iconic termite mounds amidst the savanna landscape. Our first stop of the day is a visit to a private riverside property that is rich in native flora and fauna. 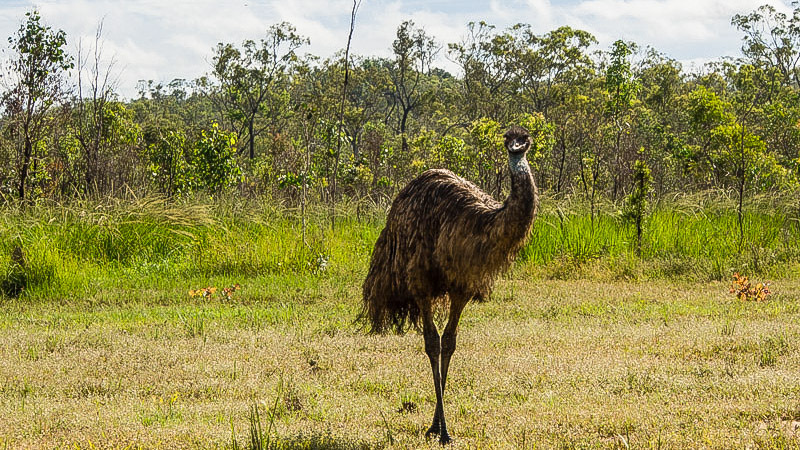 We often see emus, wallabies, Bower birds and there is beautiful scenery along the riverfront. Following on from the savanna wetlands we make our way south to explore the lush Crater Lakes National Park. Created over 15,000 years ago, the impressive volcanic lakes are surrounded by dense National Park. The area provides important habitat for endangered cassowaries and tree-kangaroos. Whilst at the lake we have the opportunity to swim and snorkel, explore the lake edge looking for freshwater turtles or enjoy longer rainforest walks with your private guide. Before leaving the crater lakes we will take you to our secret 'Garden of Eden', a hard to find and incredibly beautiful mini-waterfall. As we make our way back to Port Douglas we have the opportunity to stop for locally grown Australian coffee and purchase fresh tropical produce whilst enjoying the Queensland scenery and often a gorgeous sunset. It is important to note that on these trips we do not visit the Daintree Rainforest, Daintree river, Mossman Gorge or Cape Tribulation. We visit a different part of the Wet Tropics World Heritage area that very few other operators visit. The areas we visit are just as unique and spectacular as the Daintree area. ​Trips depart at 7:00 am and return at approximately 5:00 pm. ​All locations are weather and access dependant.